Critical acclaim has greeted Alan Russell's novels from coast to coast. Publisher's Weekly calls him, "One of the best writers in the mystery field today. The New York Times says, "He has a gift for dialogue," while the Los Angeles Times calls him, "A crime fiction rara avis." Russell's ten novels have ranged from whodunits to comedic capers to suspense, and his works have been nominated for most of the major awards in crime fiction. 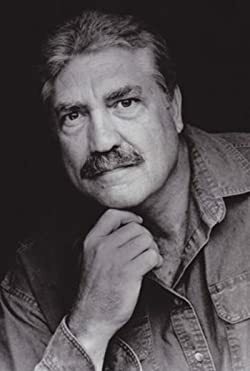 His novels have garnered him a Critics' Choice Award, The Lefty (awarded to the best humorous mystery of the year), and two San Diego Book Awards. A native and long-time resident of California, Alan Russell is a former college basketball player who these days barely can touch the rim. A proud father of three children, Russell is an avid gardener and cook, and fortunately is blessed with a spouse who doesn't mind weeding or washing dishes. Please enter your email address and click the Follow button to follow Alan Russell!